We regularly play boardgames, I’m going to start noting it. I keep joking someone should build an app to keep track of who wins what game. 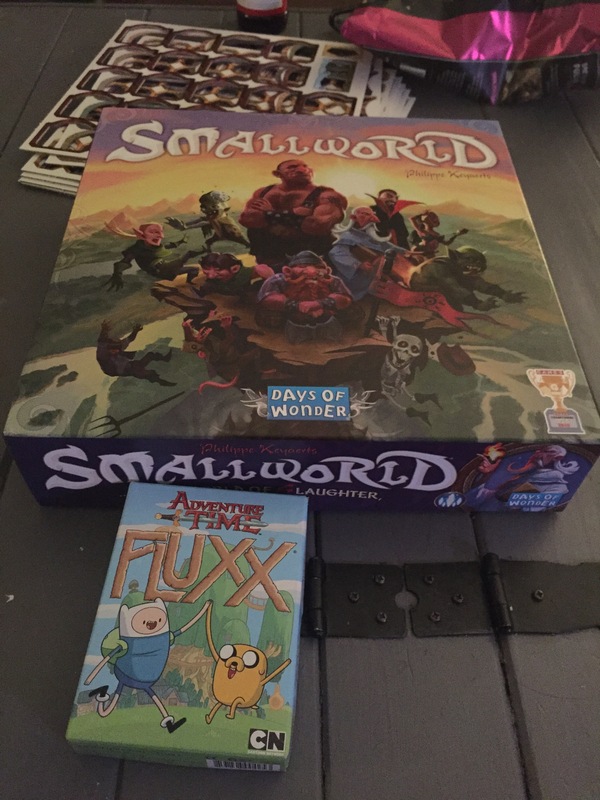 Tonight Zara won Smallworld, and Jack & I won a game each of Adventure Time Fluxx.